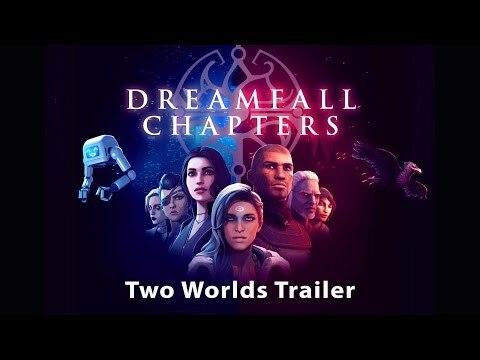 Dreamfall Chapters is a story about choices and consequences, dreams and reality, magic and science, chaos and order, and the broken heroes whose actions will shape the course of history in all worlds. Order now to receive the exclusive 'Dreamfall Chapters' theme! Published 2017 by Deep Silver. Deep Silver is a division of Koch Media GmbH, Austria. Deep Silver and its respective logos are trademarks of Koch Media GmbH. Dreamfall Chapters © and developed by Red Thread Games AS. Dreamfall and The Longest Journey logo are registered trademarks of Funcom Oslo AS. All other trademarks, logos and copyrights are property of their respective owners. All rights reserved.